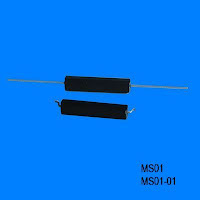 Mould Reed Switch - Misensor Tech (Shanghai) Co.,Ltd. The Original glass reed switch is fragile , Using the ABS material to protect the glass tube . Mould Reed switch is replace glass reed switch for better application .